Speech and Language Pathology (SLP) is a critical area of therapy for students with special needs and Port View Preparatory® School is well equipped to handle even the most difficult cases. Only trained and licensed SLPs and SLPAs are authorized to assess, diagnose and treat speech, language, social and cognitive communication in children and adults. Port View Prep offers speech and language pathology individually and in groups, depending on student needs and progress plans. Therapists work with parents and caregivers to provide the best possible therapy for your student. Improving coordination of speech muscles through strengthening exercises, such as pushing the tongue against a tongue depressor and training exercises involving sound repetition. Improving communication between the brain and the body through visual and auditory aids such as mirrors and video recorders. Improving fluency through breathing exercises. Results of speech therapy vary from student to student and it’s important to understand that the severity of individual disabilities affects outcomes. Regardless of the severity, however, in virtually 100% of cases, SLP dramatically improves an individual’s ability to better articulate and communicate needs and emotions over time. Port View Preparatory® urges parents to also be proactive in their child’s speech and language progress by continuing to help with therapy at home. The ability of your child to express himself or herself is critical to developing a greater sense of independence and minimizes their reliance on others to be their voice on a consistent basis. Port View Preparatory® uses both the “pull out” and “push in” models in SLP, depending on each student’s program and areas of need. Pull-out treatment targets skills requiring repetitive trails and is also used to create structured opportunities; there are fewer distractions with this form of treatment. Push-in or classroom-based services, typically results in additional time for students to spend with classmates and affords fewer interruptions to class schedules. Port View Preparatory® SLP also specializes in treating apraxia and oral motor challenges. This includes impaired oral movements (oral apraxia), difficulty smiling or puckering, delayed fine and gross motor skills and feeding difficulties that may include choking. Another unique area of specialization at Port View Prep is augmentative and alternative communication (AAC) for non-verbal students, meaning those who demonstrate extreme difficulty in communicating verbally. Our SLP and SLPAs are trained interventionists in this complex area of speech and language pathology. 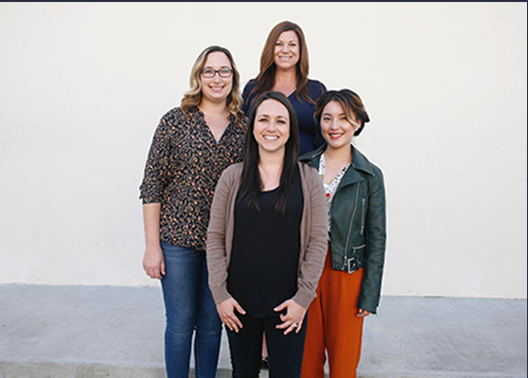 For more information on Port View Preparatory®’s Speech and Language Pathology therapies or any of the information presented on this page, please contact Principals Edward Miguel at 714-463-6391 or Melaura Erickson-Tomaino at 714-463-6392.